Location: Bilbao, Basque Country, Spain. This was merely a whim, i dun like at all eldars nor anything about elfs, so i thought... if i ever do a elfs army... ¿how would it be? and ta-daaa! thought and done! you can win absolutely nothing with this army list... but it looks sooooooo cool!!! Every dead spesh elf very dead! even the warlocks and the farseer! could a mod move this to the showcase section, plz? WOW! 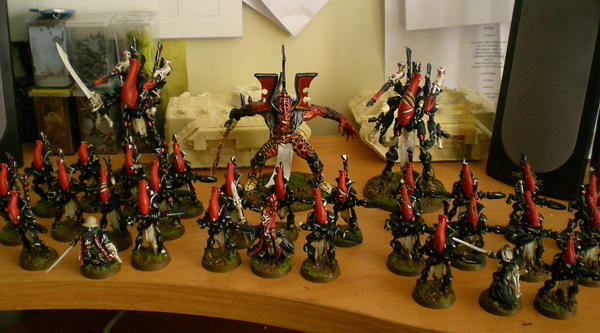 Let me preface by saying that this is an awesome army! You&#39;ve done the Craftworld proud with these guys! That Greenstuffed Avatar is particularly incredible. I agree that the head is a bit out of proportion, but that isn&#39;t enough to detract from the skill that you have and the effort that you&#39;ve put into him. You should be proud fielding these guys on the table . Pedantics, maybe, but double posting is generally discouraged. There is an edit button that you can use to revise your previous posts . Truly beautiful. I don&#39;t care how it plays, it&#39;s fluffy and awesome. You should be very proud. Looks great! For an army that you don&#39;t like and that doesn&#39;t do too well thats a hefty chunk of cash you blew! It&#39;s ok though it looks great! 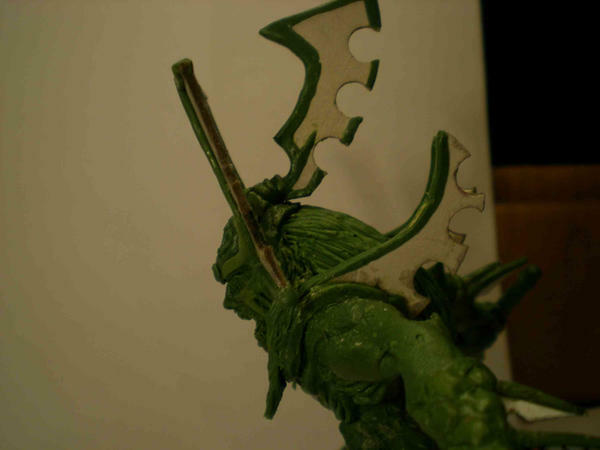 ...You made the wraithguard out of resin? How? 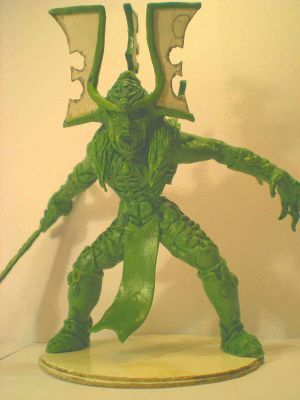 Cast an actual model? indeed, and the wraithlords too. I have originals, so these are "security copies"